As I was planning my entry for our first Invitational, I immediately realized that this was perfect opportunity to shed some light into the early, lesser known history of Space Marines. In order to show you more, we must first travel back in time, to the birth of the Imperium of Man and directly into middle of Unification Wars of Terra! 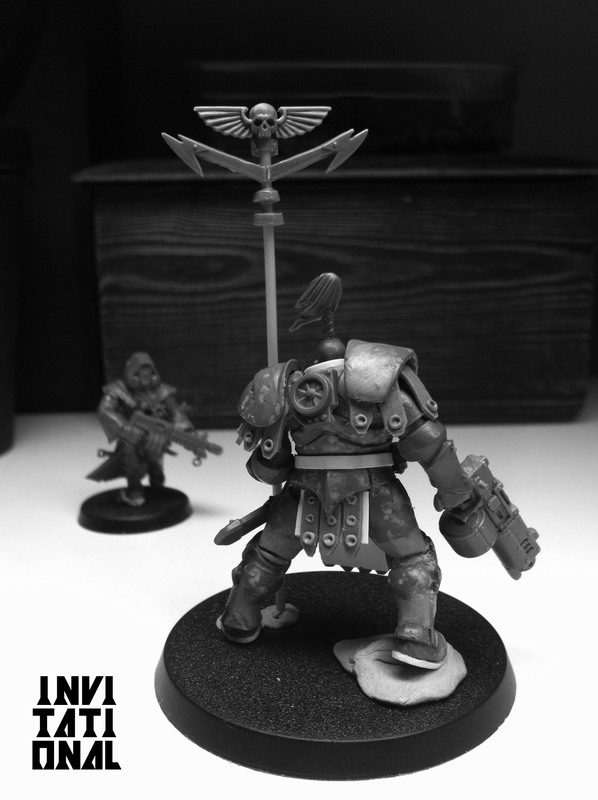 First of the three models for this challenge is going to be a Thunder Warrior. Living weapon, gene-enchanced killing machine. Designed for one single purpose – to crush the enemies of the Emperor of mankind. Using Putrid Blight King as a base I started to build this giant. I wanted to add just a slight taste of realism by introducing some historical Roman influences into the mix. 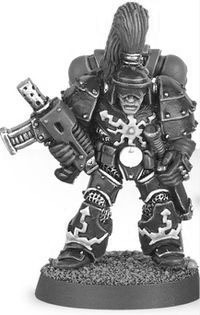 Standing over 45mm tall he is true giant of war. Wow! I was thinking about making a true-scale Thunder Warrior just the other day. The Blight King is a great figure to base it on. This is an awesome project idea. Choosing the Blightkings as a base was an interesting choice, but one which looks to be working out very well! Are you planning to do any more modifcations to his Boltgun to distance it from the Ork shoota it is based upon? I am very much looking forward to seeing more pictures of this model. Does he still have the sunglasses/visor, I wonder? I suppose that time will tell. If you decide to add a scope, I beseech you, try to add a stock to the rifle. It would be virtually impossible to use a scope without a stock to should the weapon and steady it. Awesome idea for the Invitational! I think most of the veteran 40k players have soft spot for the ancient Thunder Warriors! I really like where you are going with the conversion. The Blightkings are a great foundation for the conversion, particularly the ones that retain most of their armored (like the one you chose). I love his pose, it conveys a great sense of power and resolve in the warrior. I really like the layer look of the shoulder guards on the original Rogue trader model. Thoughts of adding a few more layers to the shoulder guards of your’s?